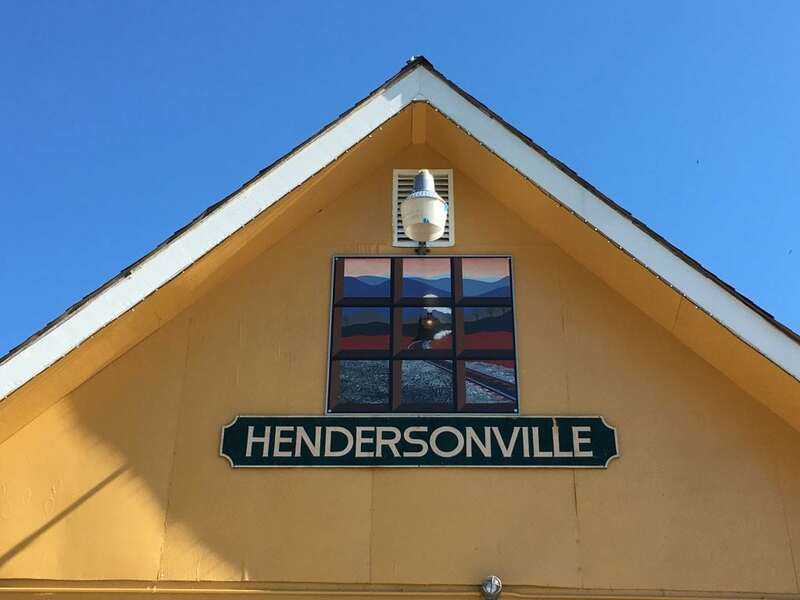 The Hendersonville Quilt Trail is a new addition to the mountain town that we love and live in. 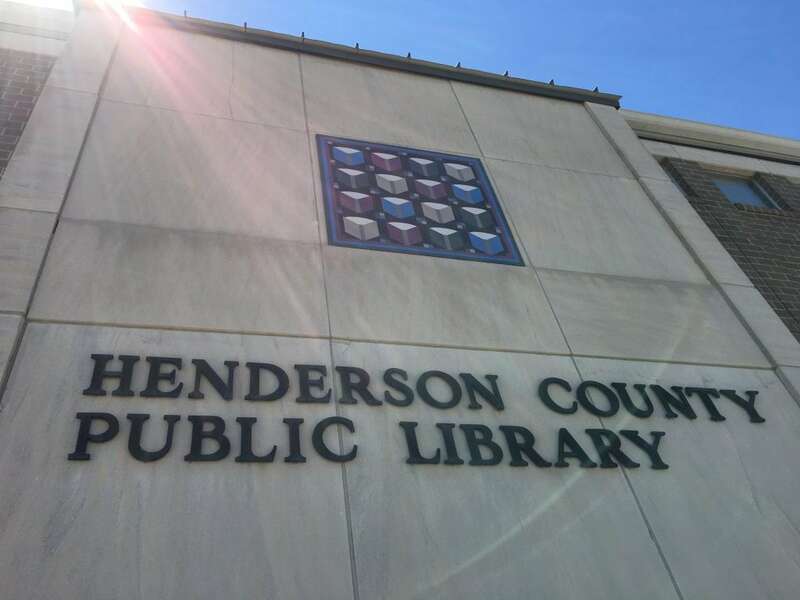 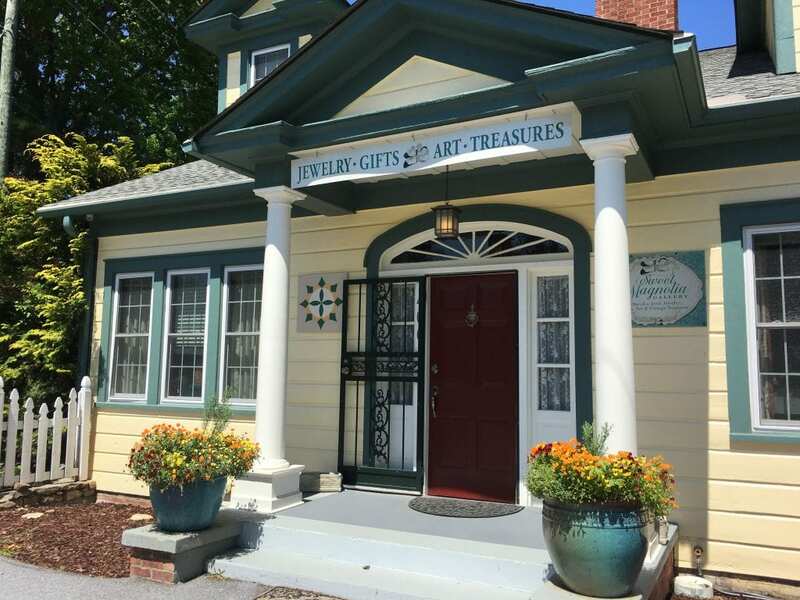 It’s a beautiful and fun way to learn more about Henderson County and see attractions and businesses that you might otherwise pass by. 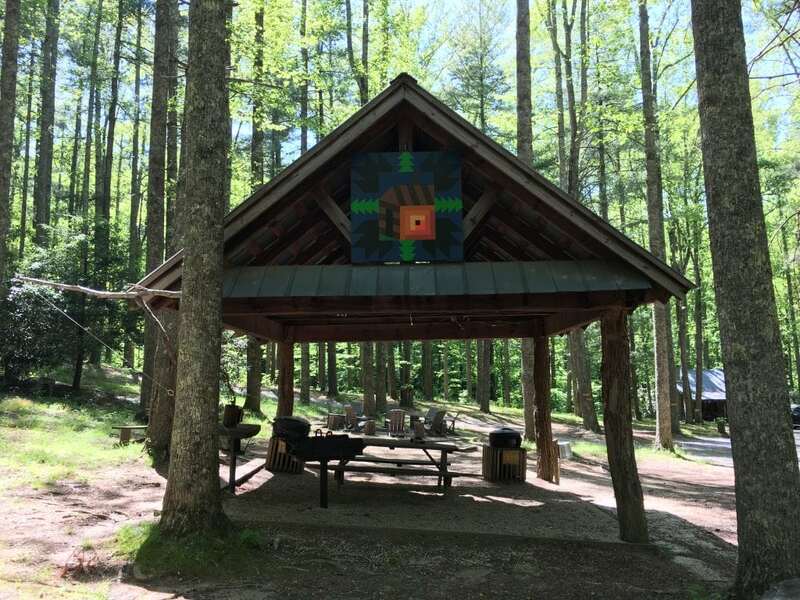 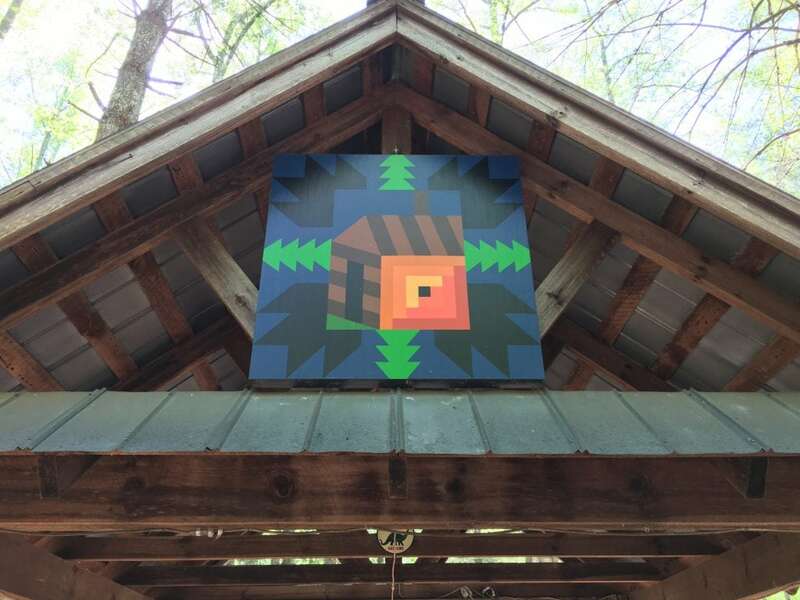 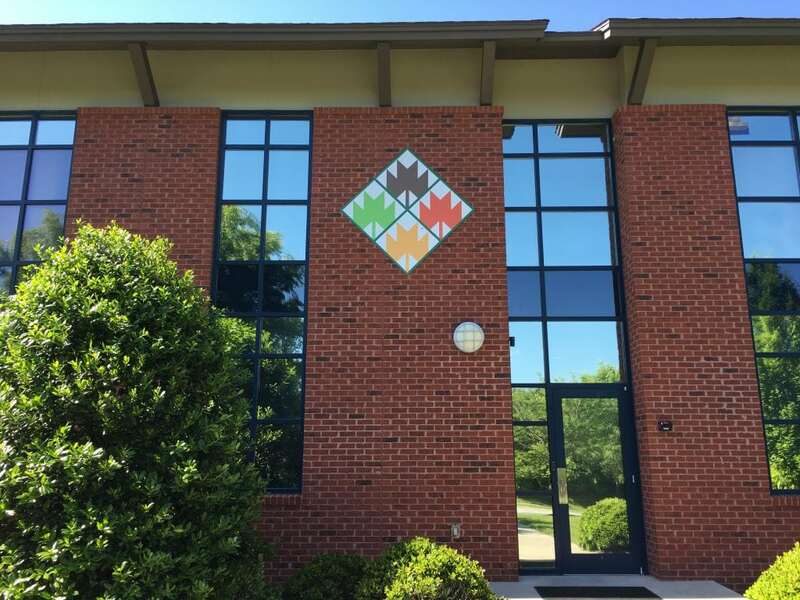 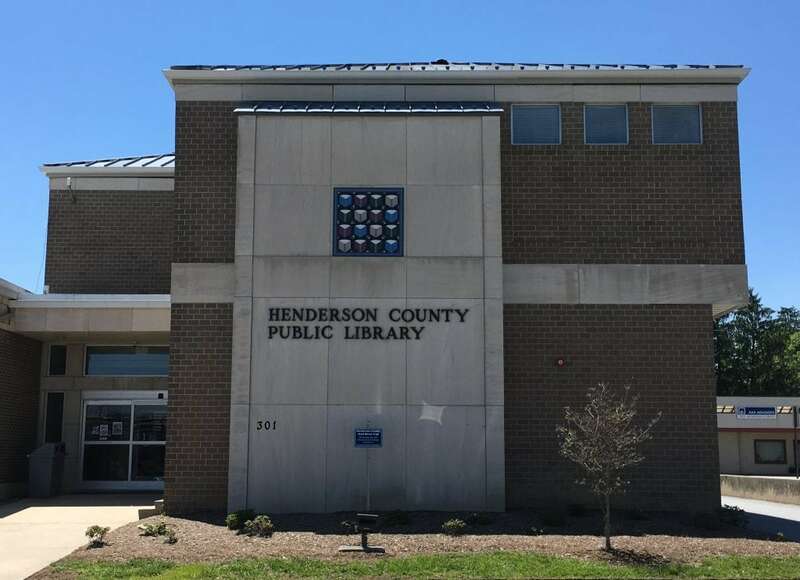 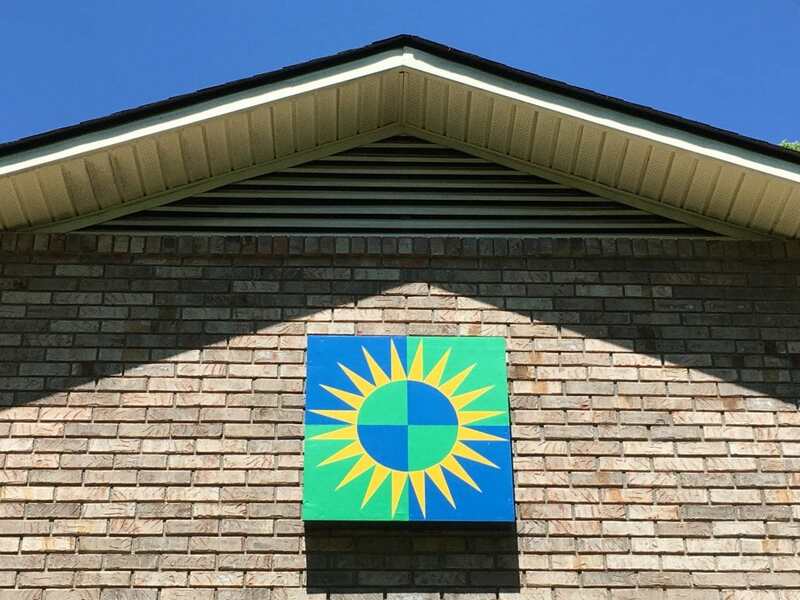 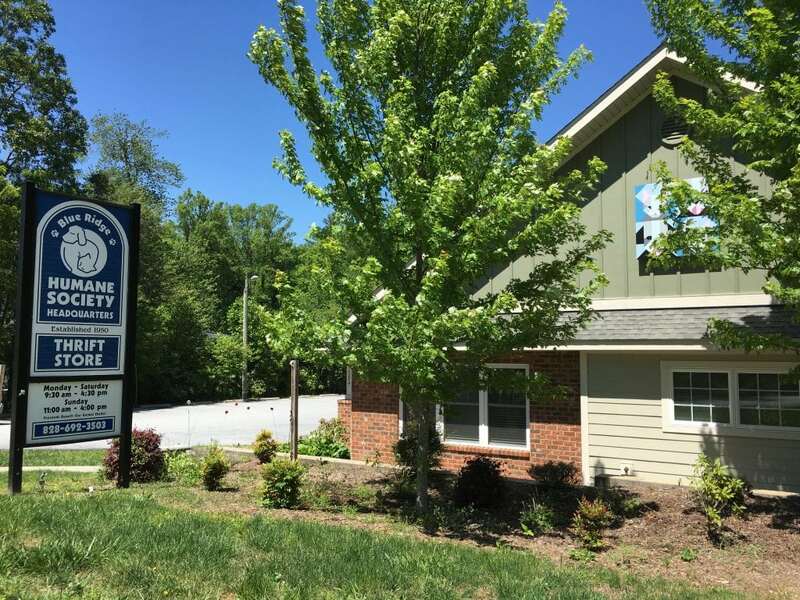 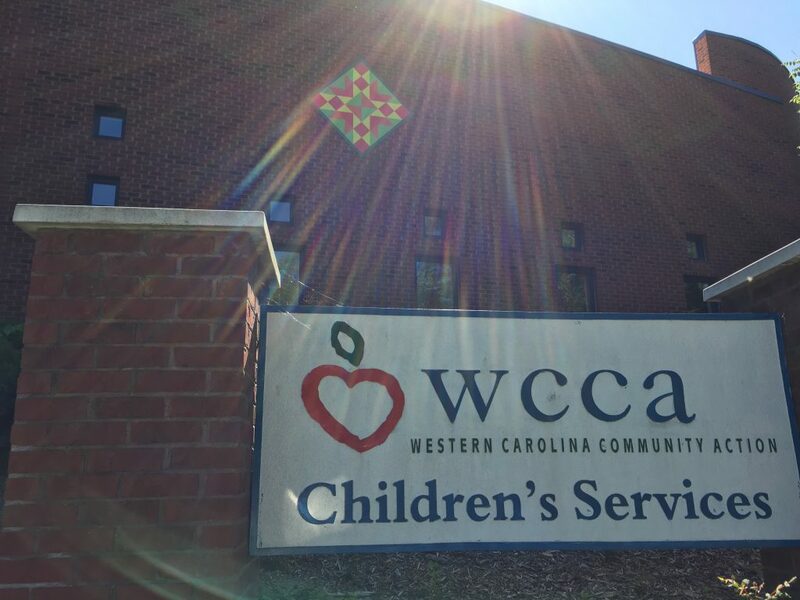 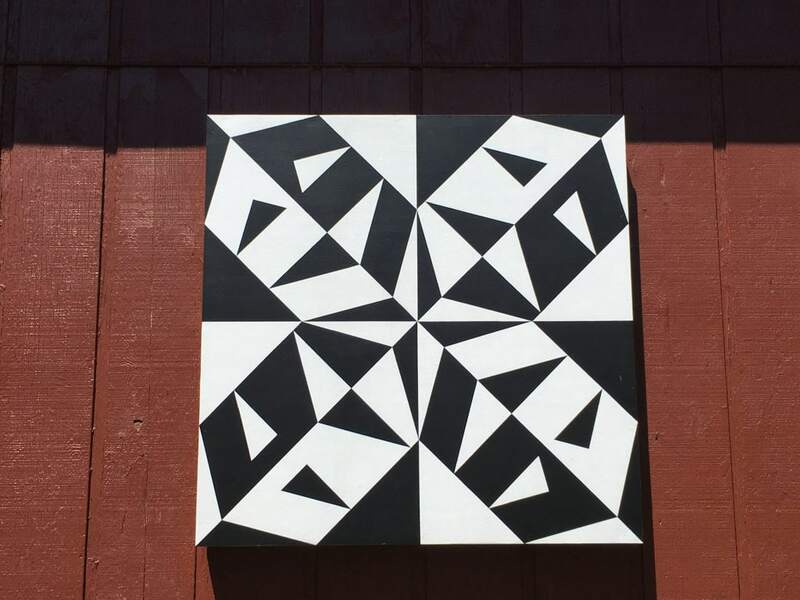 The Henderson County Quilt Block Trail, in conjunction with the Western North Carolina Quilters Guild and Henderson County Travel and Tourism, continues a tradition started in Adams County, Ohio in 2001 where a quilt block trail concept started. 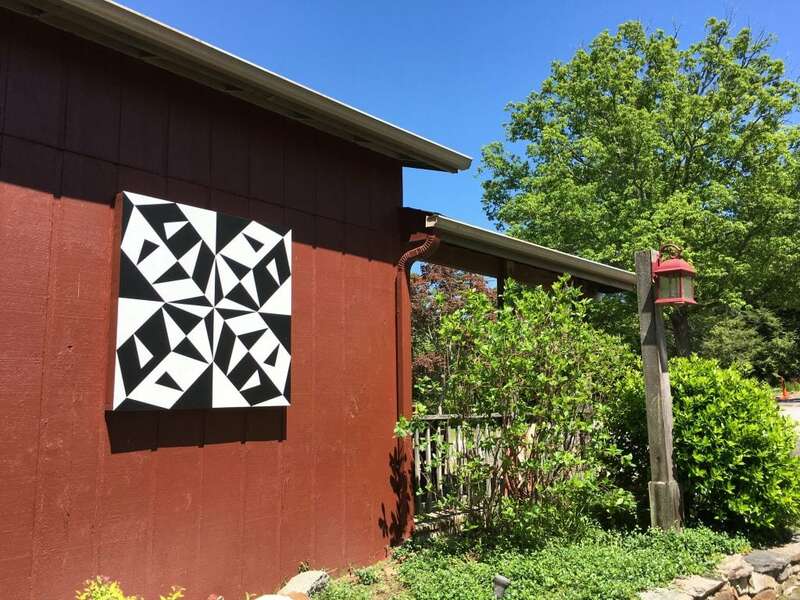 Mom and I had a great time driving around Henderson County on Mother’s Day this year doing a photo scavenger hunt of the quilt block trail. 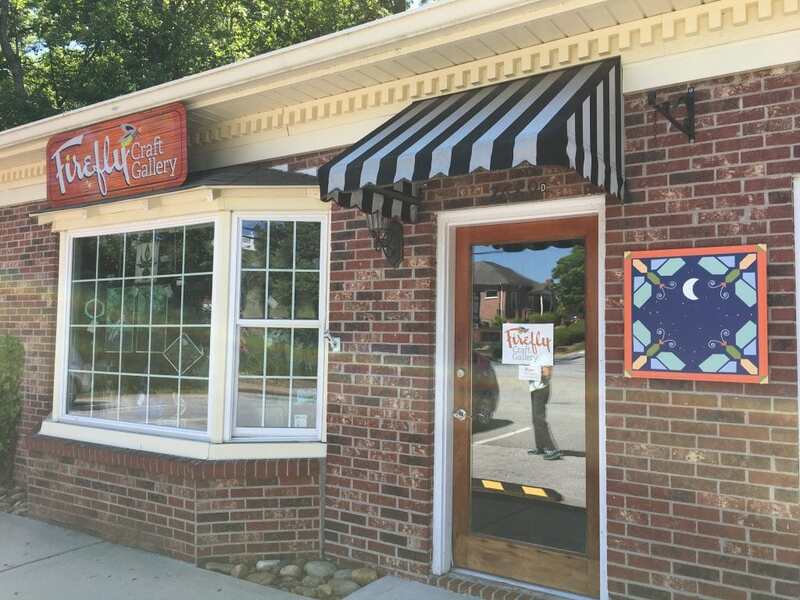 It was a weekend, so many of the businesses weren’t open to go inside. 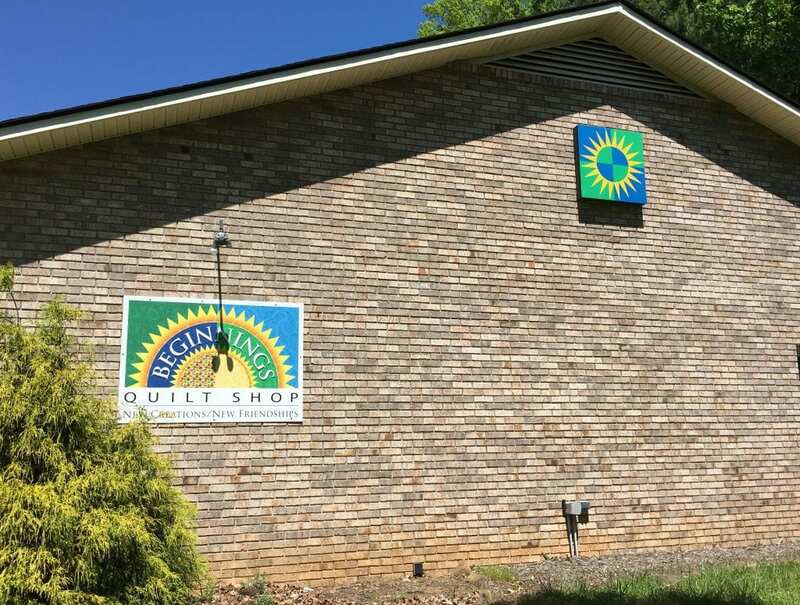 However, we had a really great time going to places in Hendersonville that we didn’t even know existed, plus photographing each quilt block. 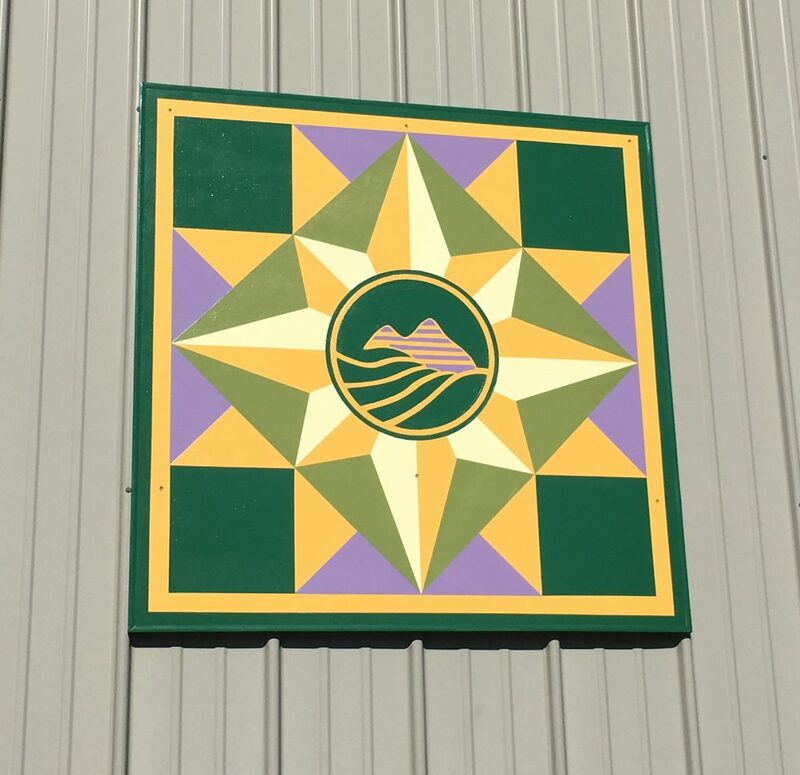 Big surprise: NO apple orchards or apple packing houses are on this trail yet. 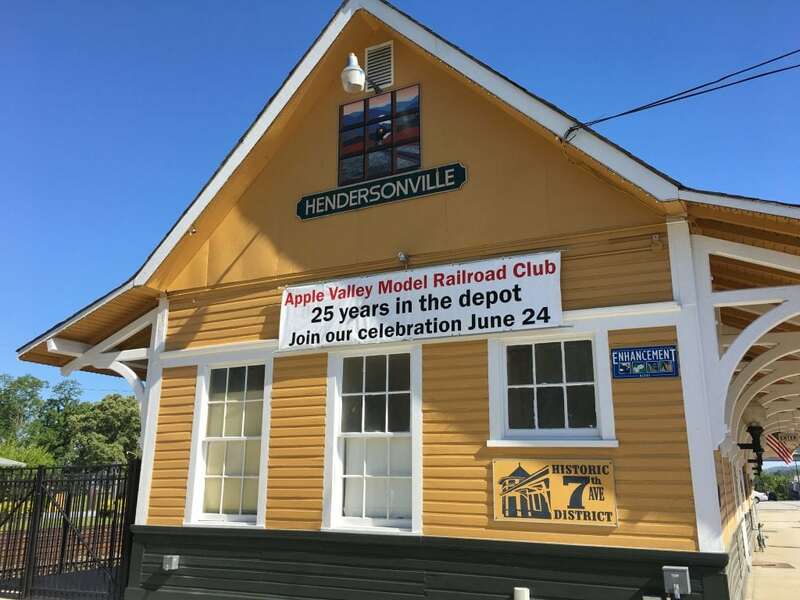 And it’s Apple Country! 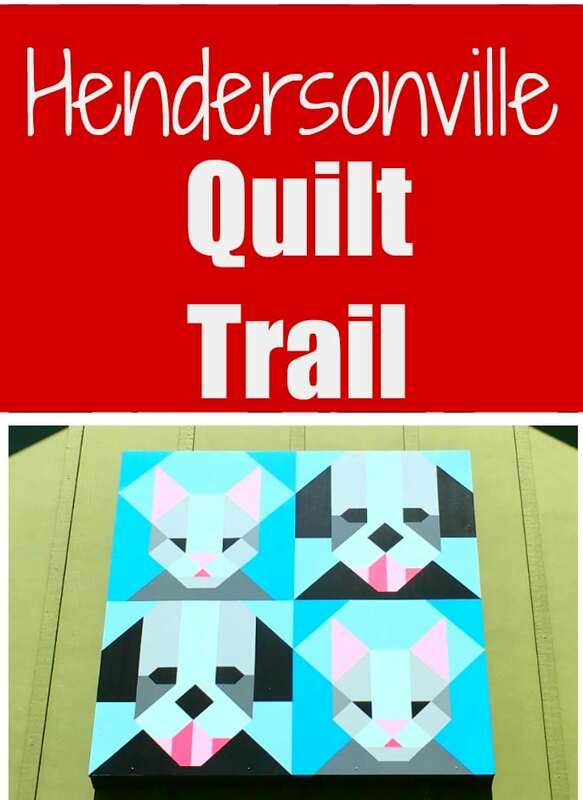 We picked up a copy of the self-guided driving tour of the Hendersonville Quilt Block Trail at the Visitor Center on Main Street. 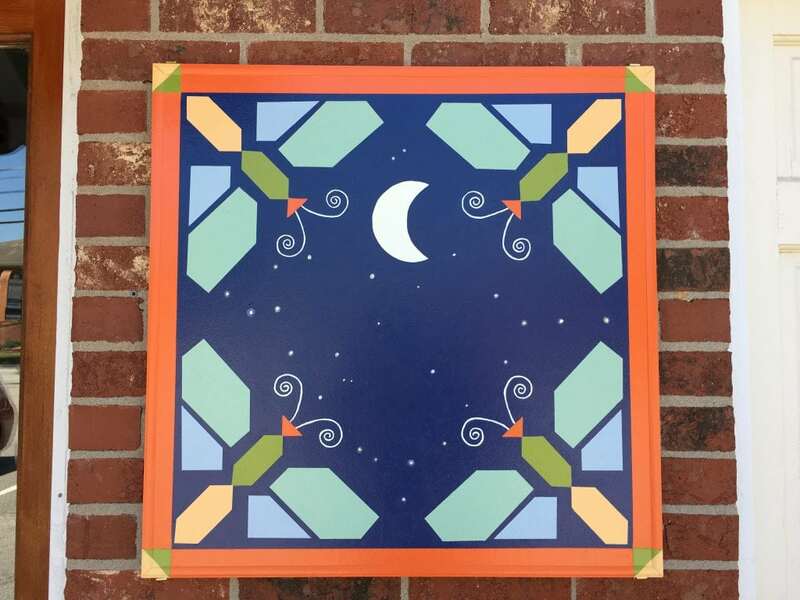 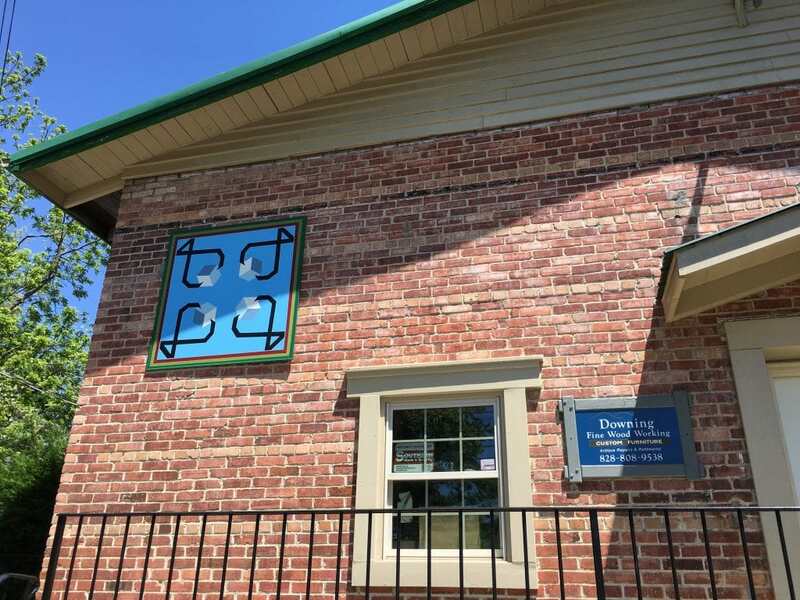 The colorful brochure shows a map with where the quilt blocks are located, as well as a visual photo of each quilt block, so that you know what to look for on the Hendersonville Quilt Trail. 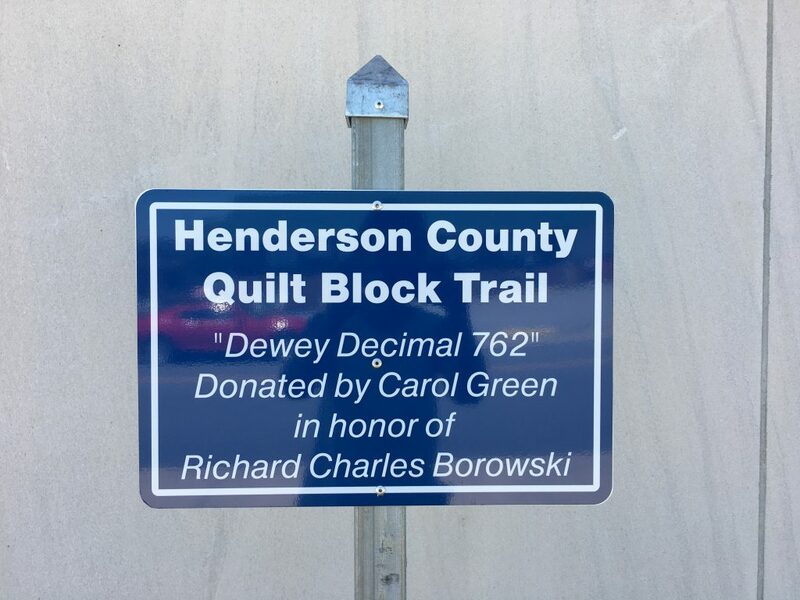 There are currently 20 blocks on the trail, but several are in the process of being put up and created. 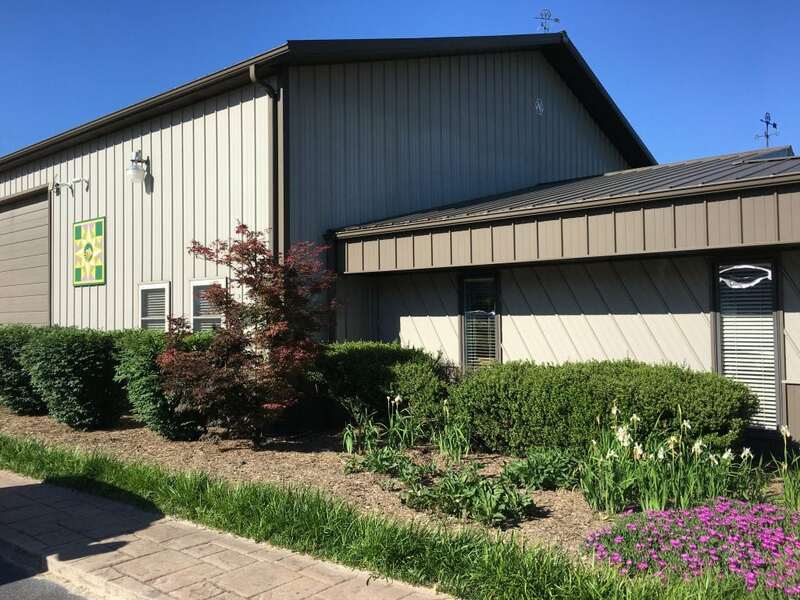 They had asterisks so that you know that they might not be at the location yet (we found that the 3 we searched for with asterisk in May 2017 were indeed not up yet). 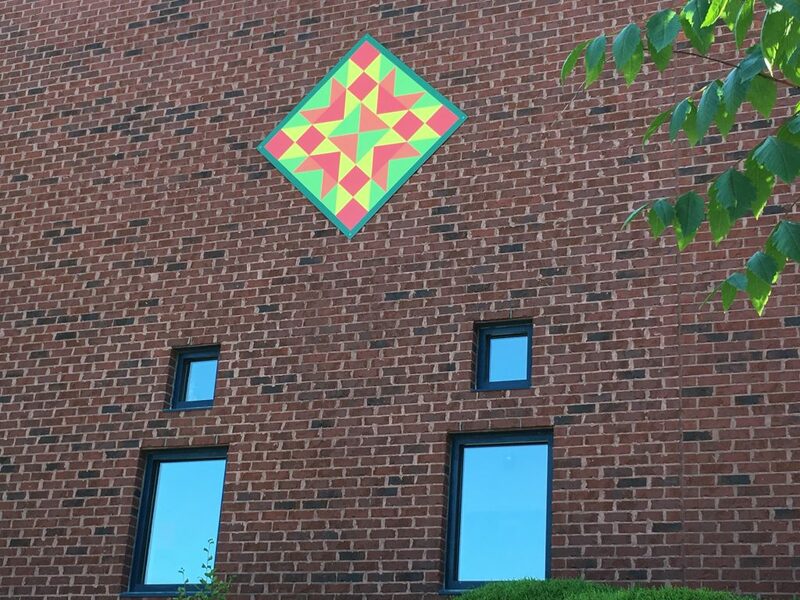 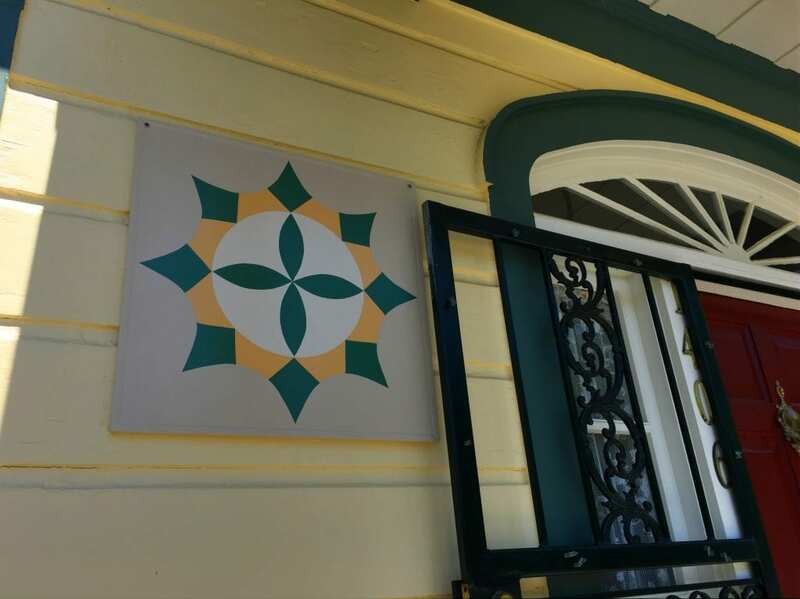 Here are the quilt blocks that we saw and the location on the buildings, so that it’s easier for you to find them when you’re on the fun scavenger hunt. 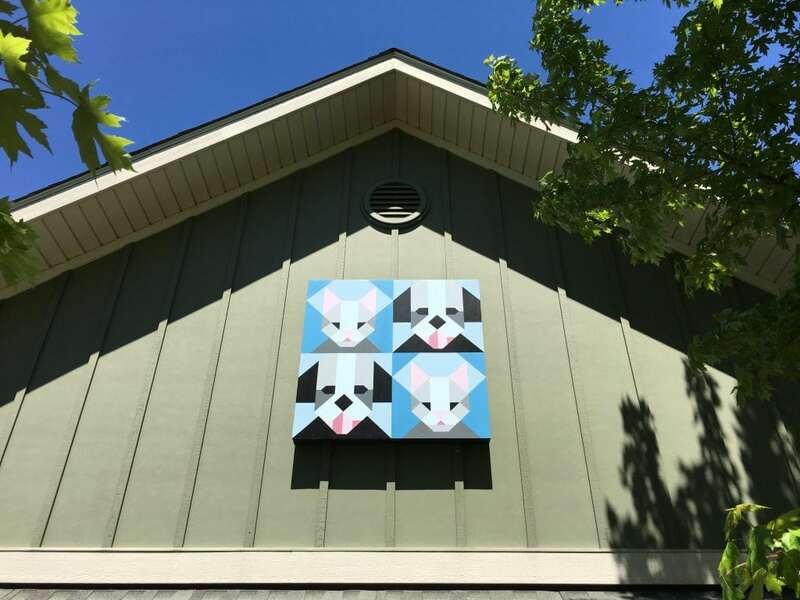 We’d love to see photos of the newest quilt blocks! 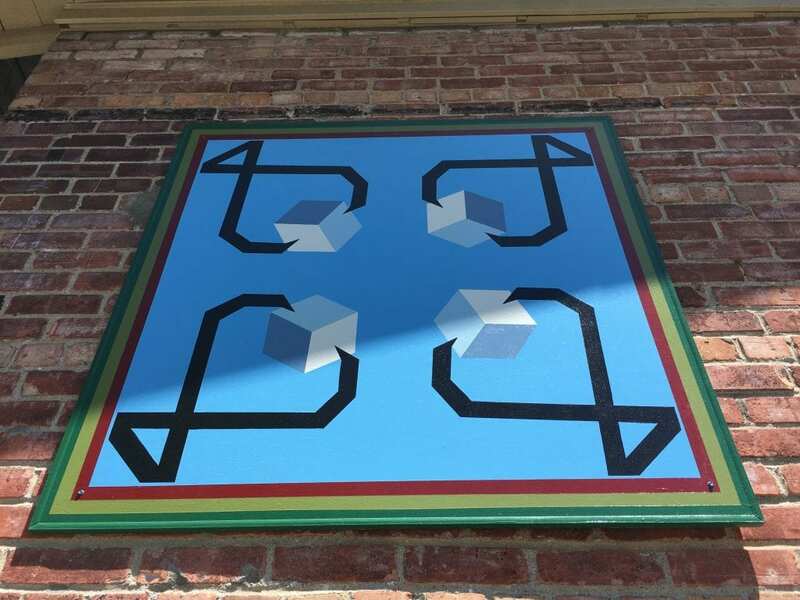 Let us know if you’ve seen new ones!